It’s the springtime Rolla Roaster sale! Buy six sets of the original marshmallow toasting fork and get one free. Buy four folding forks and get one free. Use promo code “SPRING”. If you’re checking out the Rolla Roaster- the original marshmallow toasting fork that turns easily with a rotisserie knob set into a hardwood handle- you must be a fan of cool inventions that make life easier. Therefore you should know about one of the most noteworthy inventions of the year of 2013. The GravityLight, created by Deciwatt, was named as one of the top 25 inventions of 2013 by TIME Magazine and was the winner of Popular Science’s 2013 Invention Award. This light is “an innovative way of generating light and low levels of power from gravity. It takes only 3 seconds to lift the weight that powers GravityLight, creating 25 minutes of light on its descent.” In our world where almost a quarter of the population has no reliable access to electricity this a game changer. Check out the blog next week to learn how to make your own camping lantern. 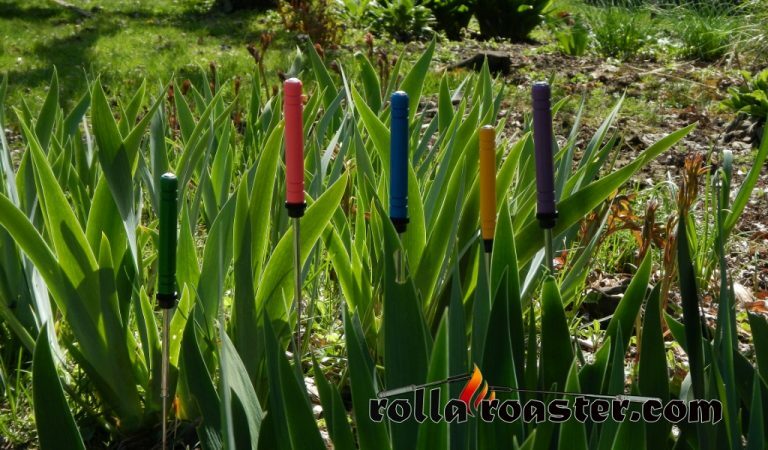 Please visit www.RollaRoaster.com to get your own Rolla Roasters and Folding Camping Forks! Posted in Campfire Cooking, Camping and tagged barbeque fork, best invention of 2013, camping, Deciwatt, family camping, GravityLight, homemade lantern, marshmallow toasting fork.